CLEARING — Before mining can begin, all topsoil and vegetation is scraped away. Trees, plants and the homes for wildlife are usually burned or illegally buried in valley fills. Often the trees are not even used commercially in the rush to get the coal. BLASTING — The coal lies deep below the surface of the mountain. 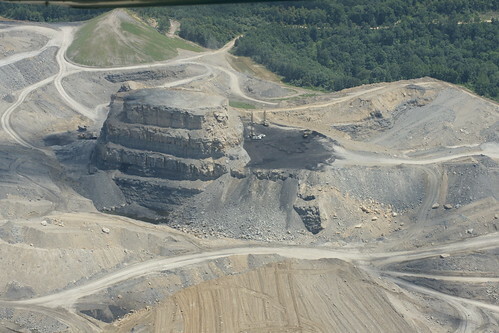 Accessing this coal through mountaintop removal mining can require the removal of up to 800 feet or more of elevation to get at one or more thin seams. Removing that much earth is done by using millions of pounds of explosives – with blasts that can be 50 to 100 times more powerful than the Oklahoma City bombing. Dust and other airborne chemicals associated with the explosives may drift into nearby areas. DIGGING — The blasted rubble is pushed aside or hauled off by heavy machinery, sometimes including equipment called a dragline. A dragline may stand 22 stories high and hold 24 compact cars in its bucket. Such large machinery is favored by coal companies because they replace the need for hundreds of workers. DUMPING WASTE — The waste from the mining operation, known as overburden or “spoil”, is dumped into nearby valleys, burying headwater streams and surrounding forests. More than 1,400 miles of streams and tens of thousands of acres of hardwood forests have already been buried or severely damaged just in Kentucky alone, with many more miles already permitted for destruction. PROCESSING — The coal often is washed and treated before it is shipped to coal-burning power plants. The excess left over from the treatment process is called coal slurry or sludge and is most often stored in open impoundments. The sludge is a mixture of toxic chemicals such as arsenic mercury, lead, copper and chromium from the coal, as well as mixing chemicals and mud. 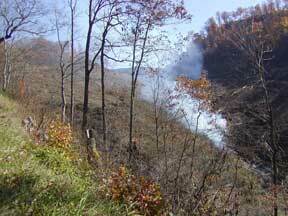 RECLAMATION — Reclamation efforts such as stabilization and re-vegetation are required for mountaintop removal sites. 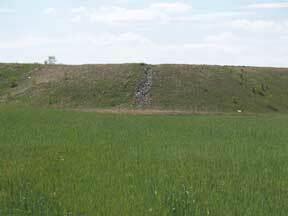 But state agencies routinely grant waivers to laws requiring a return of the area to approximate original contour. Reforesting is not done except at a few experimental sites. 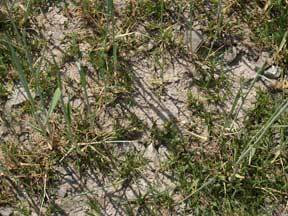 Instead, most sites receive little more than a spraying of an exotic grass seed that will grow on rock. Reclamation does not include restoring aquifers that may have once served as a community’s drinking water source. Less than 5 percent of post-mined land is used for any industrial or commercial purpose.